We’re closing in fast on the end of the school year. While summer break is exciting for many students and teachers, it’s transition and planning time for daycare and preschool owners and administrators. 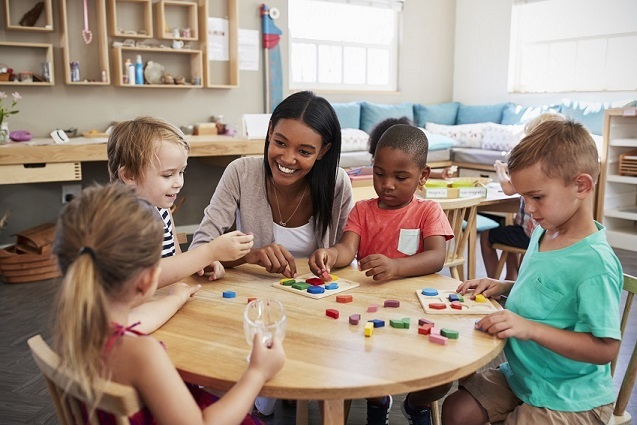 Daycares and preschools lose many students/customers each year, so it’s imperative these schools “clean up” over the summer to put their best face forward as parents evaluate daycare and preschool options before the new year begins. Enter Stratus Building Solutions, the nation’s leading green commercial cleaning solution for daycares and preschools – the perfect partner to help daycare and preschool owners and administrators elevate retention and recruitment efforts this year. Bacteria, spores, dirt and other potential harmful germs do not take off for the summer. Neither does Stratus Building Solutions. We are here to help make your school clean and pristine as parents, some who are just moving into the area, visit your facility and determine whether the atmosphere is tidy and memorable enough to meet their tough standards. We know you have the first four bullet points down. Collaborate with Stratus Building Solutions, your green commercial cleaning solution for daycares and preschools, to ensure bullet five, a clean and healthy environment, is handled, too. Cleanliness is important year-round, but its amplified as enrollment season rolls around. Enrollment is on the mind of Scott Gass. He is the President of Gass Schools, Incorporated. His company operates Primrose School of Legacy in Omaha, Nebraska. Gass relied on two separate cleaning services during his initial years of operation. Neither lived up to his or his staff’s standards or expectations. That’s when he built a relationship with Jim Morrison of Stratus Building Solutions in Omaha. Let Stratus Building Solutions amaze your daycare and preschool. You have invested a significant amount of money in your daycare or preschool. Let us help you protect your reputation as a pristine facility. Our services come with our commitment to health and the environment, from using our certified green chemicals, efficient microfiber towels, HEPA filtration vacuums and 100-percent post-consumer recycled tools and materials. Our aim is to help you put your best face forward to retain and recruit the coveted and protective clientele. You have enough to worry about this enrollment season. Let us handle the literal mess, while you tend to other matters. If you’d like to learn more about what we do for daycares and preschools, give us a call at 888-981-1555 or check out http://www.stratusbuildingsolutions.com/day-care-centers-preschools.